Complete your bathroom with this matching accessory set. This set includes a single towel rod and towel ring. Constructed with lead-free brass, this set is finished with a beautiful premium chrome plating. 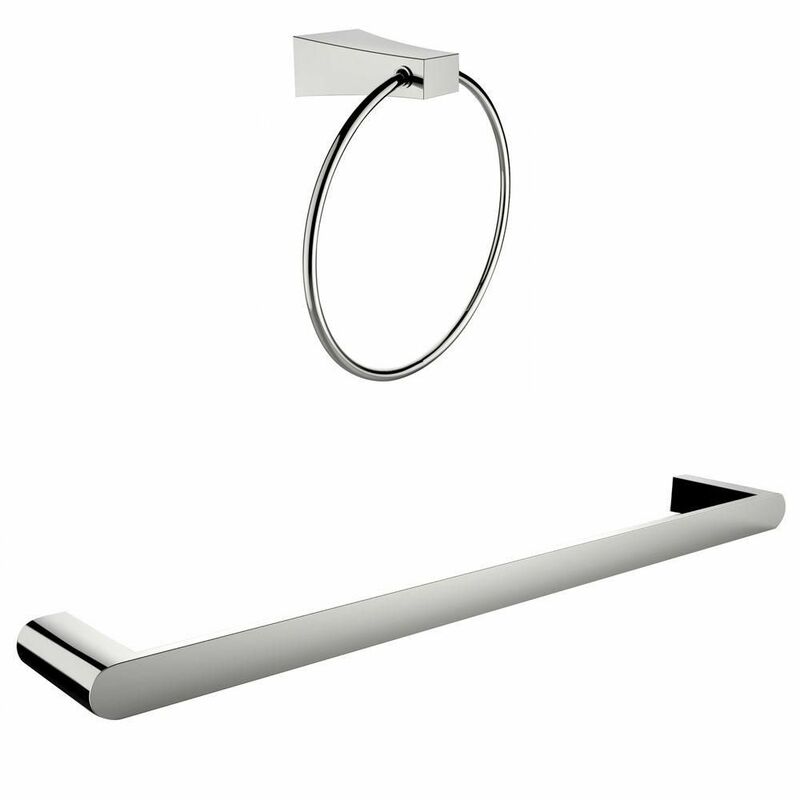 Towel ring and single rod towel rack can hold up to 6 lbs each. Designed for easy installation. Constructed with lead-free brass, ensuring strength and durability. Quality control approved in Canada and re-inspected prior to shipping your order. Concealed screw installation for a clean look. Inspired by the sleek lines of contemporary European design, Grail combines an urban look with a delightfully intimate feel. Getting ready in the morning is far from routine when you are surrounded by a bath that reflects your personal style. Sometimes accessories make all the difference and that's why Delta(R) offers a variety of bath accessory items. From towel bars to robe hooks, we've got what you want. Bring the essence of Art Deco to your bathroom with Revival accessories, which incorporate elliptical shapes and rolled edges inspired by 1920s design. This solid-brass ring mounts to the wall, keeping your hand towel within easy reach. Chrome Plated Towel Ring With Single Rod Towel Rack Accessory Set Complete your bathroom with this matching accessory set. This set includes a single towel rod and towel ring. Constructed with lead-free brass, this set is finished with a beautiful premium chrome plating.